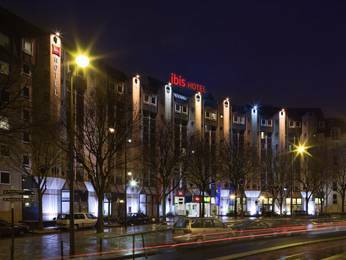 The ibis Paris La Villette Cité des Sciences 19ème hotel is situated in northeast Paris, 547 yds from the Ourcq metro (line 5) and Corentin Cariou (line 7). The hotel is opposite the Canal de l’Ourcq, 437 yds from Cité des Sciences, the Zénith and the Philharmonie de Paris. The hotel has 284 rooms, including 6 rooms for guests with reduced mobility, and free WIFI. Other amenities include 2 meeting rooms, an ibis Kitchen Pizza&Pasta restaurant, a bar, 24-hour snack service and parking (upon reservation).